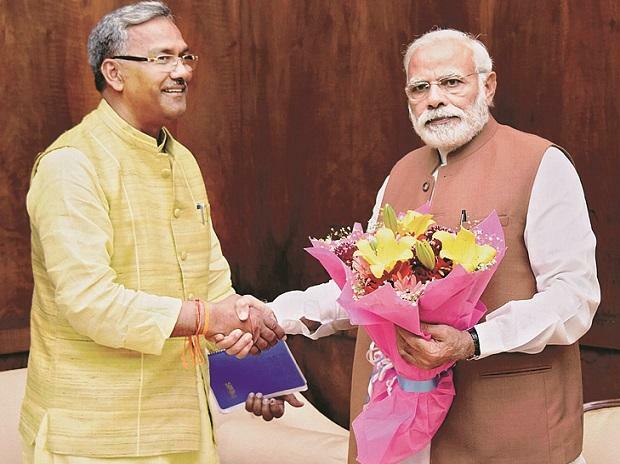 As Uttarakhand votes on April 11 for all five Lok Sabha constituencies, it again looks like a contest between national rivals the Bharatiya Janata Party (BJP) and the Congress, say experts. This time, the Samajwadi Party (SP) — which has never shied away from fielding candidates in the state despite not being a dominant party — has not fielded a single candidate. The reason could be failing to find a suitable candidate for the lone Pauri seat, which it got under the seat-sharing arrangement with the Bahujan Samaj Party (BSP) in the state, said an expert. The BSP is contesting on rest of the seats — Tehri, Haridwar, Nainital and Almora. Only once has the SP won a seat in the state in general elections — Haridwar in 2004. In the rest of the three general elections since Uttarkahand was carved out, all the seats have either been won by the Bharatiya Janata Party (BJP) BJP or the Congress, poll analysts said. "Except the BJP and the Congress, all other parties have very less support base in Uttarakhand," said Anup Nautiyal, an independent observer. Though Uttarakhand Kranti Dal (UKD) played a pivotal role in the statehood agitation that led to the separation of Uttarakhand from Uttar Pradesh, the party could not make any significant dent in the elections. "We are hoping do better this time," said Diwakar Bhatt, a statehood leader and the President of the UKD. "The people of this state should not forget that it was UKD which was solely led the statehood agitation. Our leaders made all the sacrifices. I strongly appeal to the people to vote for our UKD candidates," said Bhatt. Most of the Left parties are also not taking part in the election in the state.